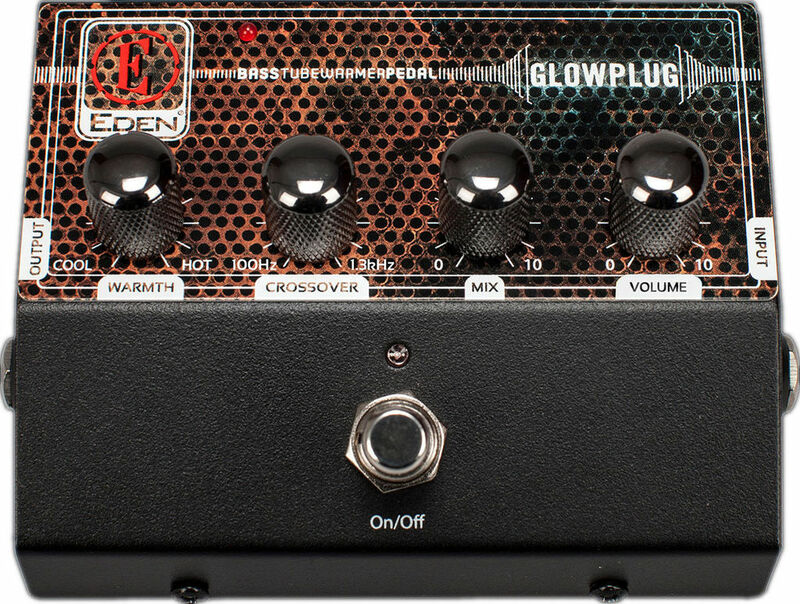 Eden Amps Glowplug Tube Warmer Bass Effect Pedal Getting authentic tube tone is now easy with the Eden Glowplug. Using tone circuitry designed specifically to enhance and compliment your bass sound the Glowplug adds warmth and depth to your sound bringing out your strings natural hamonics. From subtle tone warming to a fuller tube roundness the Glowplug opens up a broad selection of tune sound to any player. In addtion to adding tube tone the Glowplug has a built in crossover allowing you to adjust where the tube sound is applied. The Mix control also allows further detailing so you can decide how much tube signal you apply to your overall sound. For anyone looking to get more organic with thier sound the Glowplug delivers the perfect bass solution.